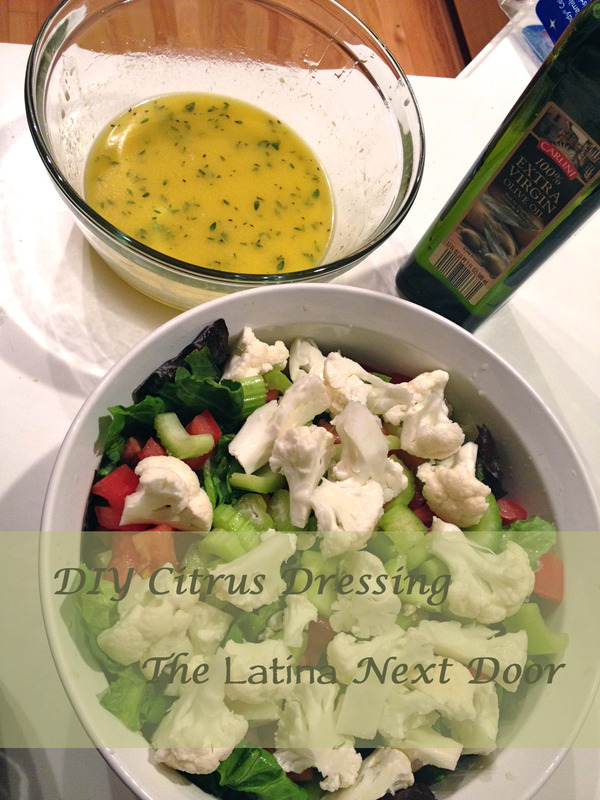 I wanted to share a salad dressing that I make at home that is super easy to make and is really delicious! Combine all ingredients and whisk in the EVOO. You can add or subtract the amounts of ingredients based on your desire (sometimes I like to add a little more honey, but that’s up to you! ) This tastes great with artisan lettuce, tomatoes, cauliflower, broccoli, and cucumbers. I like to make some homemade nuggets out of chicken breasts to go along with the salad. Hope you like as much as we do!